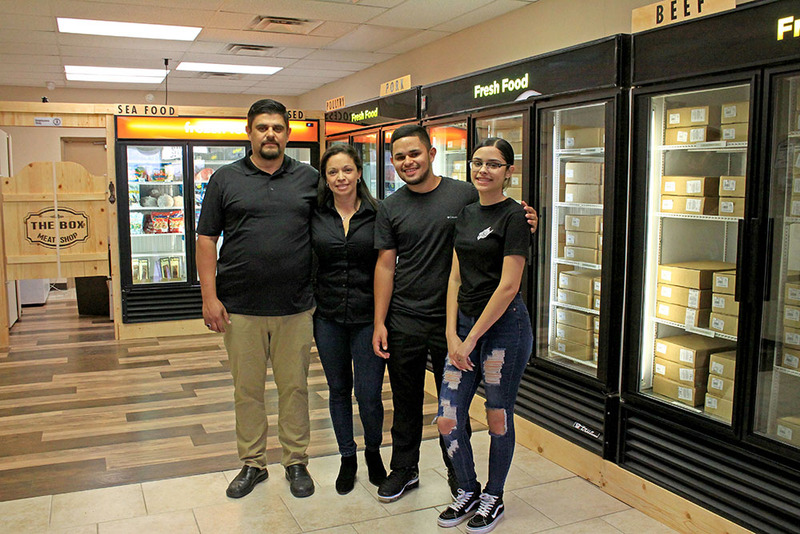 Luis and Karen Pozzolo launched their American dream, The Box Meat Shop, on March 15. Uruguay native Luis Pozzolo has been working as a general manager at large national and international meat suppliers for several years. He’s learned who are the best suppliers of beef, chicken, pork and seafood. He’s put everything he has on the line and “quit his good-paying day job” to open his dream meat shop in Maricopa. All the meat is carefully packed into cryogenic packaging and sealed from oxygen and light. It is boxed, and the customer can look into the box when it’s purchased. 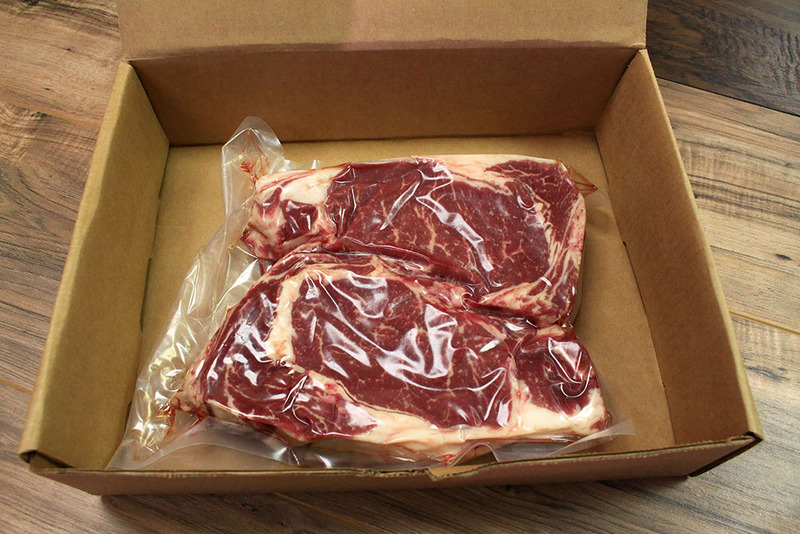 The meat was sealed in the CryoBag at the packing house and is only opened by the customer at home. It is guaranteed to be fresh, usually just a couple days from slaughter, all-natural and free from any chemicals and hormones. “Our idea is to teach our customers that our shop’s name is The Box,” said Karen Pozzolo, also from Uruguay. “When you go to a grocery or meat store you can see the meat. Here the meat is going to be inside the box in a CryoBag. Luis explained because the CryoBag keeps oxygen away from the meat, ice cannot form to freezer-burn the meat. The box also keeps light from damaging the meat. The Pozzolos have been in Maricopa for a year. Luis has been in the meat business four years, working for Amigos Meat as director of operations in Houston and general manager in Atlanta. He was also branch manager for Harvest Meats in Phoenix. He was previously a senior business analyst. Before leaving Uruguay, he was a banker. Pozzolo was going to open his innovative The Box Meat Shop a year ago, but Harvest Meats gave him an offer he just couldn’t refuse, he said, so he delayed opening for a year as he helped Harvest Meats. “I know the business. I really enjoyed serving our customers, and I think we can provide exceptional quality. I know all the brands, and I’ve been dealing with all of them,” he said. One of the largest motivators for the Pozzolos is to be self-employed. “We will bring in all-natural beef. The chicken will be all natural and no hormones. This is a great opportunity, and I really like the direction Maricopa is going and growing. The city has the right attitude on growing, on the government side,” Luis said. Pozzolo knows a lot about government. In Uruguay, his father, also named Luis Pozzolo, was a senator. Starting from nothing, his father rose from poverty to mayor of a city into the national parliament and even briefly was the president of Uruguay. During the second presidency of Julio María Sanguinetti, in his capacity as substitute, Luis Bernardo Pozzolo held the presidency of the Republic for three days. His father was the vice president of the Social Security Bank of Uruguay when he died in 2003. Luis said his father was angry with him for deciding to leave Uruguay and migrate to the United States. He told his son he’d probably end up washing dishes in America and sure enough, Luis’ first job was washing dishes in a restaurant. “I was in international banking all my life in Uruguay. My father was a congressman, senator, vice president and president in Uruguay. He died, and three weeks later we came to the U.S. We applied for political asylum. We had $2,900 in our pockets and she was four months pregnant. My father said I had everything I wanted but said, ‘this country is going to hell in a few years.’ That was in 2003 and in 2004 the socialists won,” Luis said. He held a variety of positions before joining Microsoft and then becoming a manager in the meat industry. He said the quality of meat carried by Harvest Meat is the best available. Instead of being the company’s branch manager, now he’s going to be a customer. All the prime-grade beef he’s selling at The Box Meat Shop will come from Cedar River Farms Natural Beef, grown by producers in Arizona, through Harvest Meats. His back-up choice-beef cuts will be Blue Ribbon Angus coming from Greeley, Colorado. Most of the pork is from Kansas, and the chicken will be from three or four packers but is all natural without antibiotics or hormones. Seafood is coming from California, China and Latin America. “It has to be quality to put it in your mouth. I am very careful with what my kids eat, what my family eats and even what my dogs eat. We want to bring quality,” Luis said, adding his meat is certified as all-natural. Luis said price of the all-natural product might be a little higher than the grocery store, but the quality far exceeds the additional costs. “It’s not going to be crazy. Not a huge difference,” he said. All beef, chicken and pork will all be fresh, not frozen. All meat sold at The Box Meat Shop is also fully guaranteed. “That is our focus – selling good, fresh, quality meat,” Karen Pozzolo said. 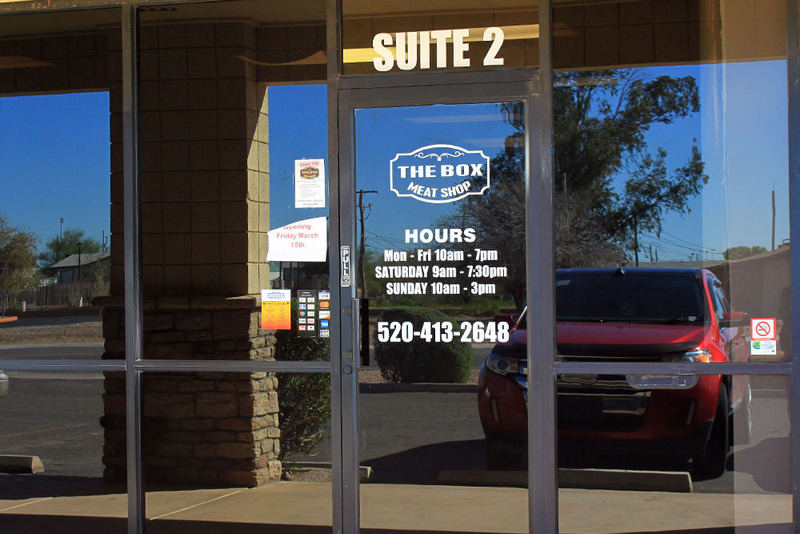 The Box is at 44870 W. Hathaway Ave., Suite 2.